St. Patrick's Day is in a week! Unfortunately, because it's on a Tuesday, I don't know how I'll be celebrating yet, but I do know what I'll be wearing on my fingers. 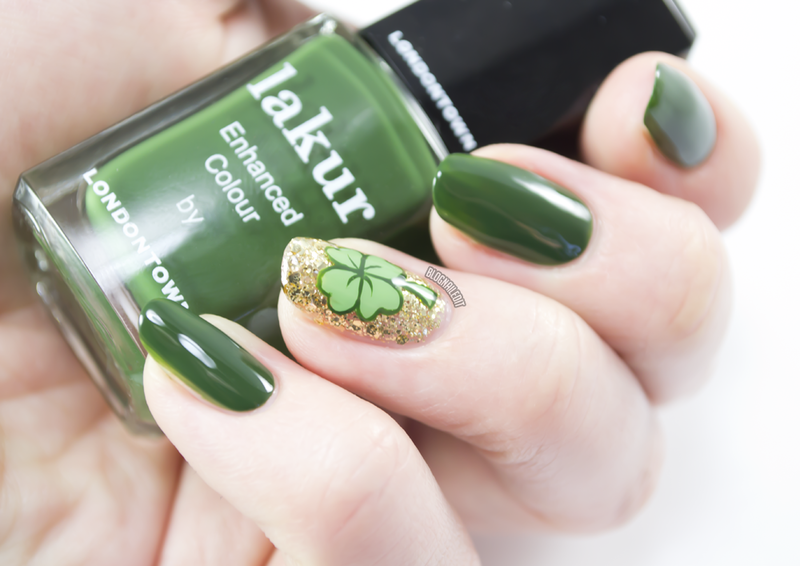 Tonight's lucky mani uses lakur polishes exclusively from Londontown. lakur is Londontown's long-lasting, high-performance line of lacquers that feature a proprietary blend of nourishing and restorative natural ingredients, including vitamins, minerals and flower oils from the iconic gardens of Britain. I noticed that when I was applying these polishes, a sweet smell lingered in the air. This wasn't surprising, since my last review of Londontown products was nothing but pleasant. 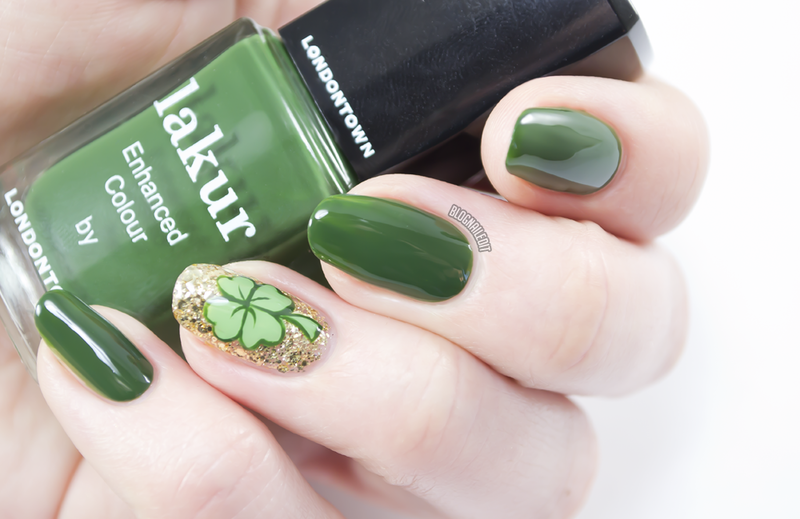 I was sent several pretty polishes, and thought these would be perfect for play with St. Patty's Day! Of course, my little lucky clover was painted freehand. It's nothing fancy, but it's just enough for you to get noticed.